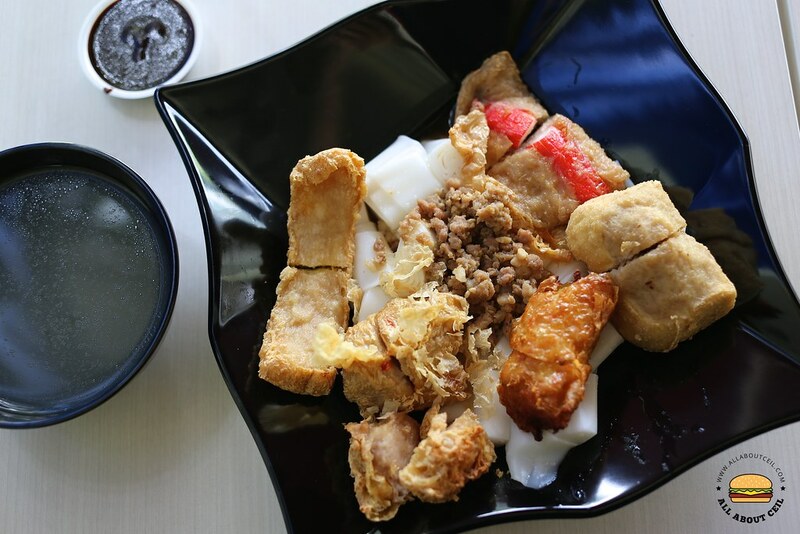 ALL ABOUT CEIL: Ding Hao Yong Tau Fu : Good Hakka style Yong Tau Fu, Must-try! 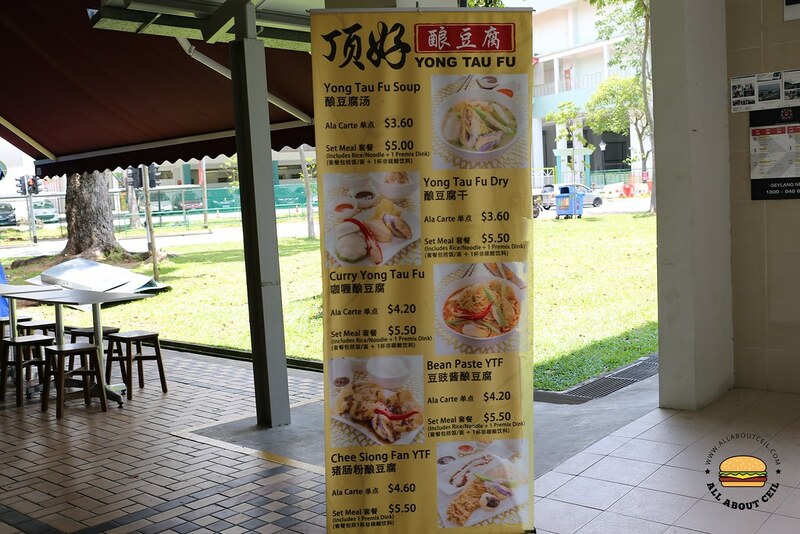 Ding Hao Yong Tau Fu : Good Hakka style Yong Tau Fu, Must-try! This shop is nestled amongst the others in this housing estate, it is located near the end of Block 304 after passing by 3 coffee shops just to get there and it has been around for more than a year. 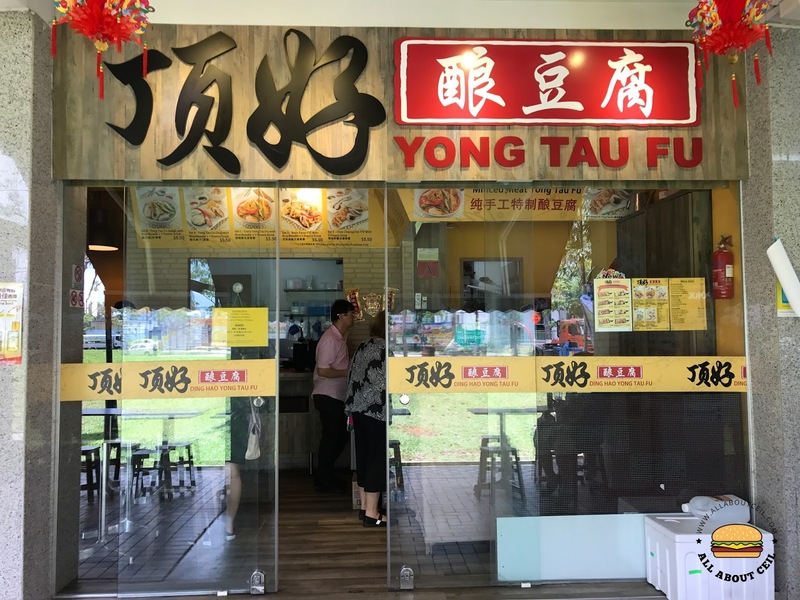 The owner inherited a secret recipe from Ya Rong Yong Tau Fu in Johor Bahru, Malaysia for Yong Tau Fu as mentioned on their Facebook page. 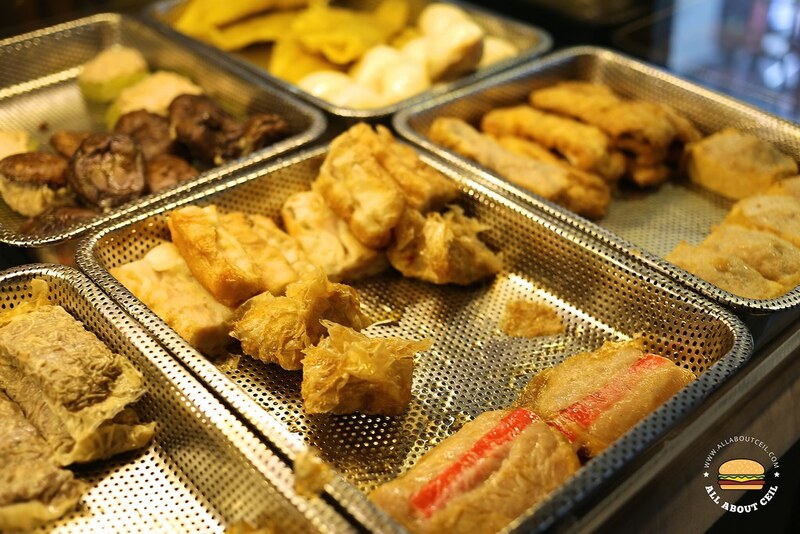 They serve it the Hakka style with specially marinated minced pork together with a small proportion of fish paste instead of with just the fish paste like the Cantonese style that is commonly available. They minced the pork by themselves and to maintain its freshness, they added in the ice cubes in the blending process. Those pieces of Yong Tau Fu are handmade daily just 2 hours before their opening and are available at 0.60 cents per piece. You could choose to have it with soup or dry or with the curry sauce, they even have it with bean paste or go with the chee cheong fun or try their house special, the stir-fry Yong Tau Foo. 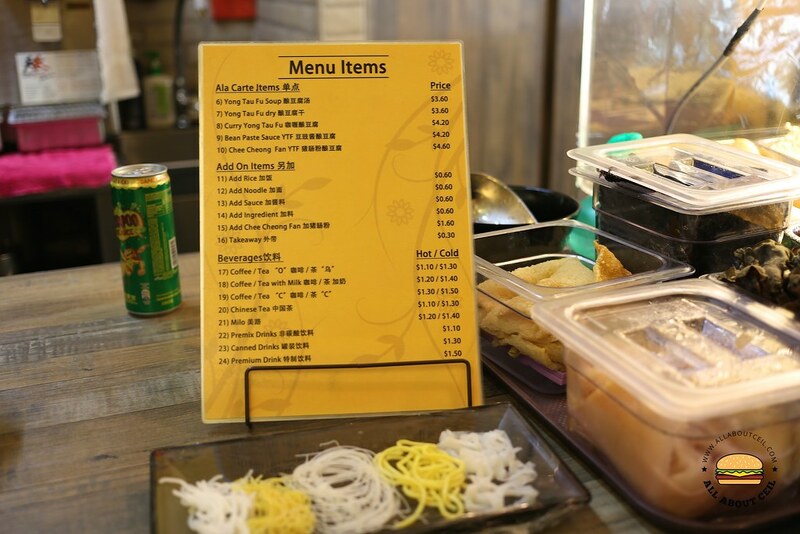 There are different versions of stir-fry Yong Tau Foo like Kapitan Yong Tau Foo, Gan Xiang Yong Tau Foo, Sweet & Sour Yong Tau Foo, Marmite Yong Tau Foo, Gong Bao Yong Tau Foo, Lemon Yong Tau Foo, Rendang Yong Tau Foo and Thai Sauce Yong Tau Foo. And, their broth is simmered using prime ribs and mushroom. The number on the receipt will be called out when it is ready for collection which is not as effective. It happened when I heard my number was called by the lady serving at the counter. When I was at the counter, another customer thought it should be his order as he heard it wrongly. Apparently, they actually mixed up the order. We ordered 2 portions, the first portion is to go with the curry sauce and thick bee hoon, the second portion is to go with chee cheong fun and minced meat sauce but they mixed it up. 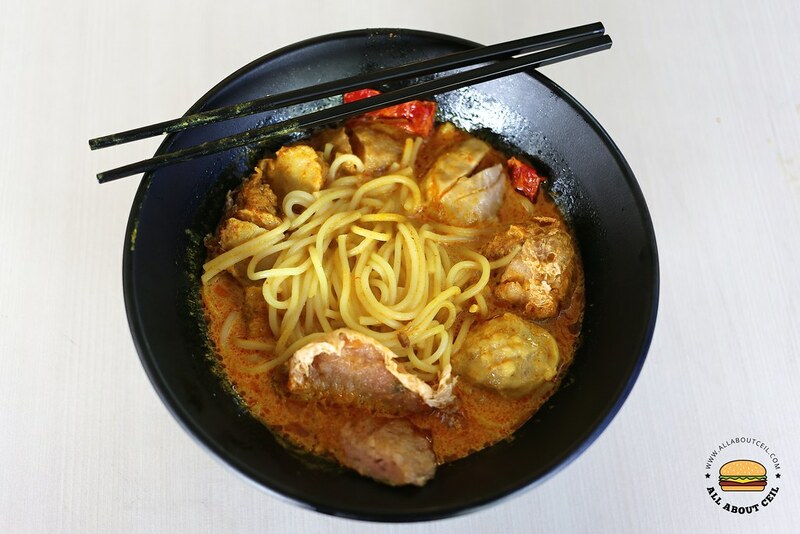 The Curry Yong Tau Fu is a popular item on their menu. The curry gravy was not too thick nor too diluted with a comforting level of spiciness. It went well with the thick bee hoon and also those pieces of Yong Tau Fu. 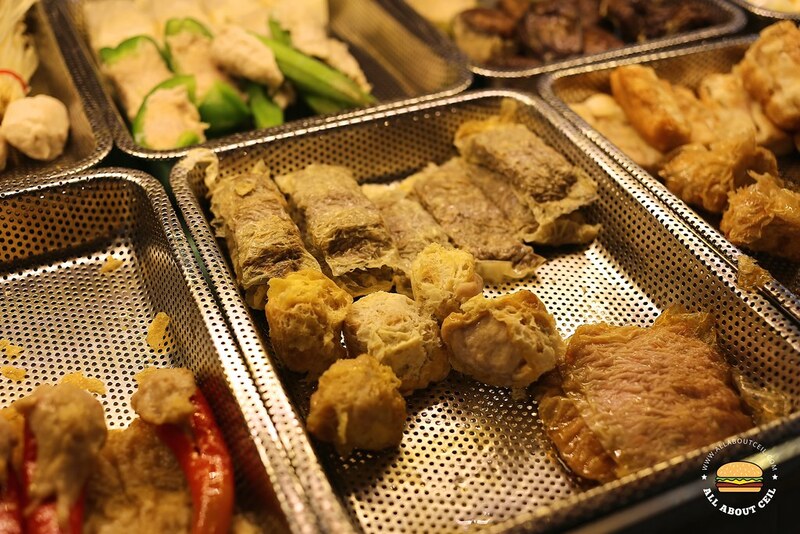 The highlight has to be the fresh-tasting handmade Yong Tau Fu items and every piece of it is equally enjoyable. The minced meat gravy though looked uninterestingly but it was quite tasty and not overly saltish. It somewhat reminded me of Jason Niang Dou Fu at Beach Road and if you are a fan of that particular Yong Tau Fu then you would also enjoy this one, too. The Uncle that manned the counter came over to clear the table next to us and he asked, "How was it?" I said, " I liked it. 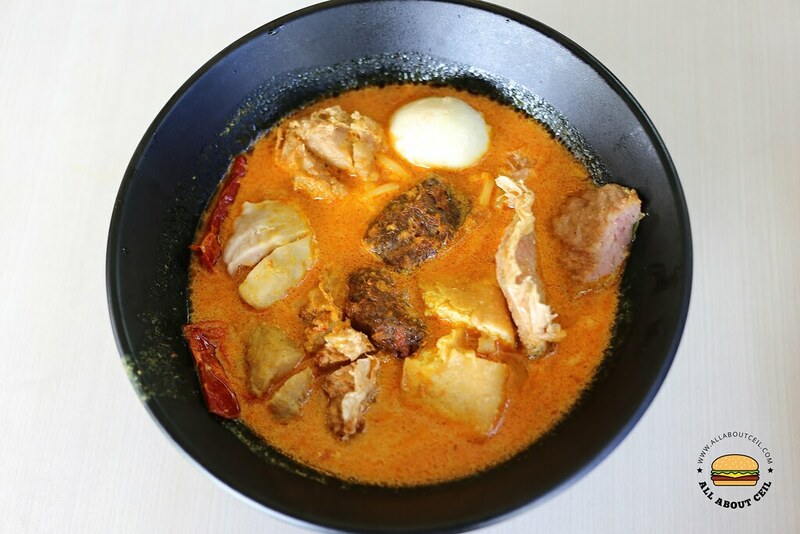 I could actually taste a mixture of minced meat and fish paste." He then said, "We added in to give it a bite of fish taste." And, I said, "The location is not very good though" which he agreed and said, "Most people would not walk all the way to the end and they will usually miss our shop." Before he walked away and he said, "Do come back more often since you liked it." 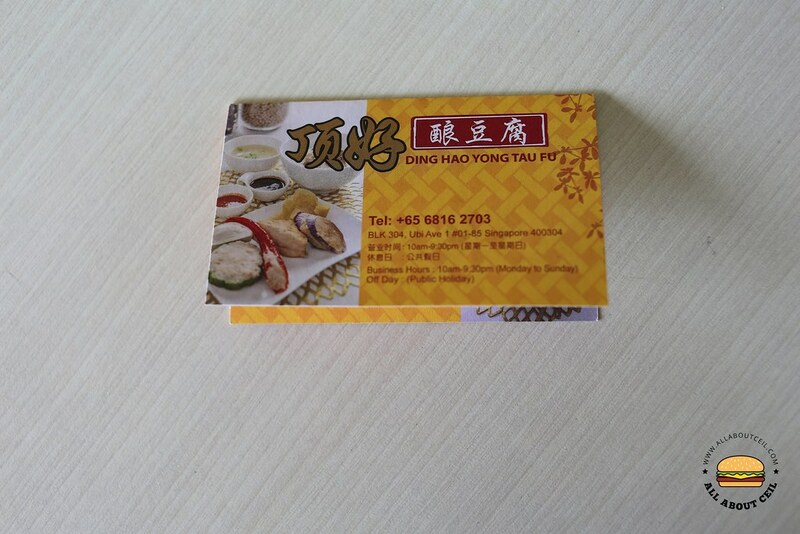 They strive to bring their customers a unique and pleasant dining experience by offering variety on their menu as stated on their card. They have a royalty card programme for their regular customers and a stamp is received for every $5.00 spent and to accumulate 8 stamps in exchange for a free set meal. This Yong Tau Fu is quite similar to the famous Hakka Yong Tau Foo at Ghim Moh Food Centre, both are good but in a different style. Nonetheless, this is worth a try.